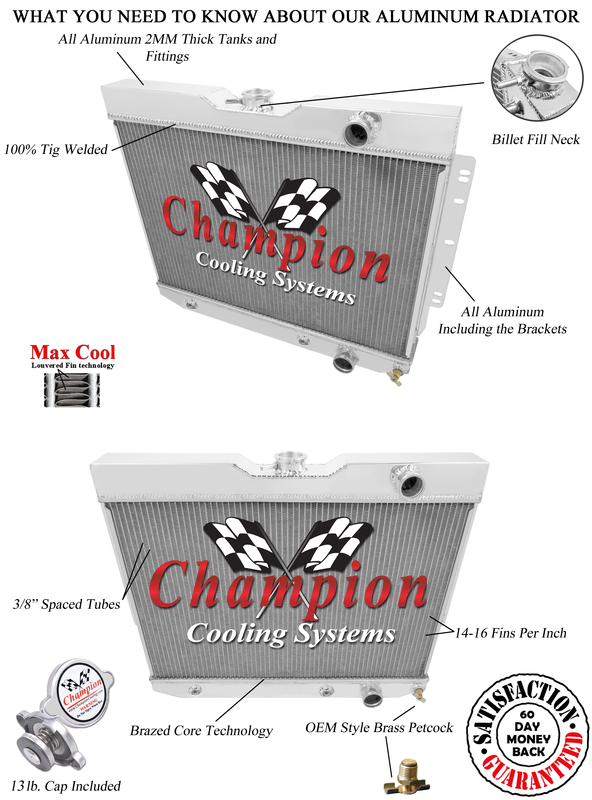 Click the button below to add the 1959-1965 Chevrolet Cars 3 Row Champion Aluminum Radiator to your wish list. For 1959-68 Chevy ModelsCapriceChevelleBel AirBiscayneEl CaminoImpala / SSKingswood Will Cool Up To 850hp...Guaranteed! You will not find a better guarantee anywhere on eBay! 1959-1968 Chevrolet Cars 3 Row Aluminum Radiator plus..